Yesterday, Nathen harvested the last of this year's grapes from our grape arbor. 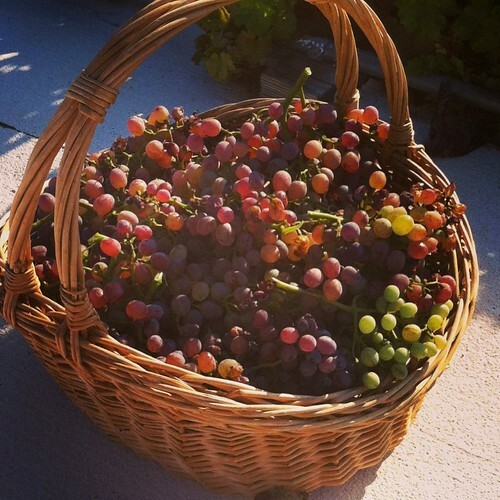 It involved climbing on our roof, as we had already harvested all the grapes we could reach from underneath. Keep in mind, this is a LARGE basket. It's a mess of grapes! And they are delicious! We feel so abundant and lucky! I'd share lots of grapes with you!